Some of Rockwell Automation’s MicroLogix controllers and ControlLogix communications modules are affected by a potentially serious vulnerability that can be exploited for denial-of-service (DoS) attacks. ICS-CERT published an advisory describing the vulnerability on Thursday, but Rockwell Automation informed customers of the flaw several weeks ago – Rockwell’s advisory is only available to registered users. According to Rockwell and ICS-CERT, the security hole, tracked as CVE-2018-17924 with a CVSSv3 score of 8.6, impacts MicroLogix 1400 controllers from the A, B and C series. 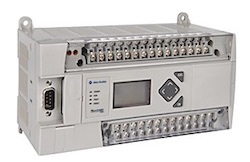 It also affects various versions of the 1756 ControlLogix Ethernet/IP communications modules, including series A, B, C and D.
ICS-CERT says the impacted products are used worldwide in sectors such as transportation, critical manufacturing, food and agriculture, and water and wastewater. The vulnerability allows a remote and unauthenticated attacker to cause the impacted devices to enter a DoS condition. Rockwell has released firmware updates for some of the affected controllers and communications modules, but for many of them it has only provided mitigations. These mitigations include using firewalls to block Ethernet/IP messages from unauthorized sources, using hardware keyswitch settings to prevent unauthorized changes to the device, and minimizing network exposure to control systems. DoS vulnerabilities can pose a serious risk in industrial environments as they can be exploited to cause severe disruptions to production systems. In contrast to IT networks, where confidentiality is the most important, the biggest concern for OT network operators is availability.